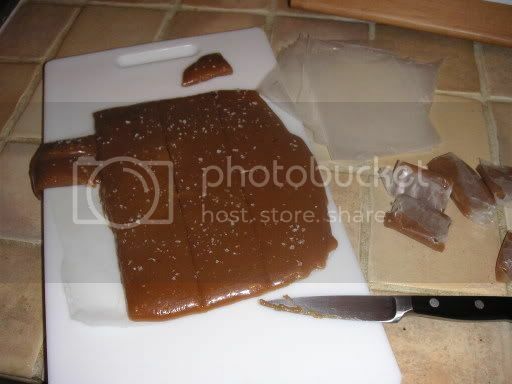 LTHForum.com - Where can I find salt caramels in Chicago? Where can I find salt caramels in Chicago? LTH Home > Chat > Shopping & Cooking > Where can I find salt caramels in Chicago? While in Dallas for Xmas/New Year's, I told my stepmother about the delicious salt caramels that were served after dinner the last time I was at Charlie Trotters. (When I raved about them to the waiter, he presented me with a box of about 10 little caramels, which if you lumped them all together, would be the same size as one Kraft caramel. But I savored that box of caramels for about a month.) I bought a box of French salt caramels at Whole Foods about a year ago, and they were good, but not as good as Trotters. So...after talking about these in Dallas, we set out on a search for at least the French salt caramels at Whole Foods and Central Market, but neither had them. Then, we happened to wander into Godiva, and they're selling a limited edition box of candies that includes 1 salt caramel, but the box costs $45 for 15 pieces (and the others didn't seem that wonderful), so we resisted the temptation to spend $45 for a single salt caramel. Now that I'm home, I want to send a box of salt caramels to my stepmother as a thank you gift (plus I'd like some myself since I've been thinking about them for the last week). I know Frans in Seattle is supposed have some wonderful ones that are chocolate covered (which is different than the ones I've previously tried. 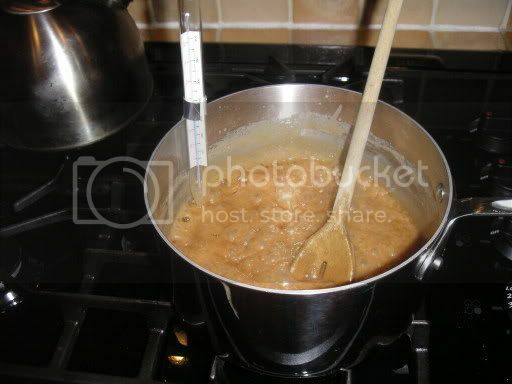 Does anyone know of any local sources that are strictly caramels (no chocolate)? Thanks! Again, not exactly local, but Zingerman's is an option. I had a tin of these and ate the whole thing. They are wonderful. Thanks kl5! I wonder if they're similar to the French fleur de sel caramels I bought at Whole Foods. Zingerman's describes theirs as coming in a tin, and sells them for $25. The ones at WF were in a round wooden box and were about $10 or $15. An update...I was at the cheese counter at Binny's on Clark today, and while chatting with the guy at the counter and picking cheeses, it occurred to me to ask if they had salt caramels and--what do you know?--they did! Theirs were dipped in dark chocolate, and were a soft, drippy caramel (not the chewy kind), but they were quite yummy, so I bought a few. They're made by the former pastry chef (?) at North Pond and she's calling her line Blue (or some other color) Cat Chocolates. (Wow...my short term memory is shot today.) So I'm still looking for chewy, non-chocolate salt caramels, but at least I have something to send home! And for those of you who have started to crave salt caramels after reading this...head to Binny's on Clark! Thanks thaiobsessed. I was searching for salt caramels and got way too many hits to browse through them all (though most led to Fran's in Seattle, which sound delicious and apparently have gotten a few awards). Should have gone with the French fleur de sel caramels to narrow it down. The Amazon product is the same one that Whole Foods was selling for about half the price. They were good, but not great. The salt is mixed throughout the caramel--there is none sprinkled on the outside, which how I had them at Trotters and what I found at Binnys (though I suspect in both cases that there's also more salt than normal mixed through the caramel, too). When I was in Dallas, I asked an employee at Whole Foods there if they carried them. He'd never heard of them, but said, "They sound great. I melt my chocolate and add salt to it to enhance the flavor." I guess if you'd described salt caramels to me before I first tried them, I would have throught they sounded weird, but I thought his melted chocolate and salt sounded a bit odd (and I love a good salty chocolate-dipped pretzel)! After a vague memory of a salt caramel at Vosges, I did some research to determine that they do in fact make a caramel with Hawaiian sea salt that is dipped in chocolate. I'm not sure if you can buy the salt caramels by the pound or not. It may very well be worth a phone call. From time to time, I see them for sale at Trotters to Go. You're right. They're luscious and wonderful. My suggestion would be to inquire there as to whether you could order a box of them. Thanks Veloute and YourPalWill! One of my food quests for the rest of the winter will be seek out other salt caramels. I just sent off the ones from Binnys, so I hope they're well received. If they are, I'll forward her some of the others I find. It never actually occurred to me that Trotters to Go might actually sell, because I hadn't seen them there before (and I try to stay as far away from there as possible because I manage to run up quite large totals there and walk out with very small shopping bags). Next time I'm near Vosges I'll see if they're selling them a la carte. I used to work at Trotters To Go back in the day, and we had requests all the time for the pastry shop to make something specific or similar to what someone had at the restaurant. My suggestion is to call them up and ask for them to make it specially for you, like a small catering order. I almost positive they would do it for you, and then you can get exactly the caramel you were looking for. Just a suggestion. I didn't have a very good experience at TTG tonight, I stopped in for a little dinner andf asked about the caramels with crushed pink sea salt at vthe register. The guy on the register was as nice as he could be. Said he'd go ask his manager. About two minutes later, this very brusque woman comes bolting out of the back and advises me that they have never sold any such thing and never will. I didn't bother to tell her that I had bought them there before nor did I bother to tell her that the $35 box of house made candies over by the dessert items contained four of them. Maybe someone else will have better luck finding a human there to interact with. Go figure. Charlie has found management for his to go store whose arrogance matches his own. I believe that very same blunt woman is one of the reasons I am very glad not to work there anymore. Next time, try calling and talking to either the Pastry Chef or the catering director. If you tell them you not only bought them there before and would very interested in purchasing more in a slightly larger quantity, they may be able to accomodate you. I know we accomodated plenty of strange requests when I worked there, so for them to deny it seems kind of silly. By the way, I think it would be very funny to see you tell the blunt woman that there were salt caramels on the floor. YourPalWill wrote: I didn't bother to tell her that I had bought them there before nor did I bother to tell her that the $35 box of house made candies over by the dessert items contained four of them. You know, I find this sort of thing all the time (most recently, twice at Home Depot.) "Oh we are out of whatever" and then I find a huge display of it over in aisle 7 or wherever. And usually I go over and tell the person afterwards "and by the way, you do in fact have foam weatherstripping, tons of it, in aisle 7." And they say Oh, didn't know we'd restocked. And you know they don't care and are going to forget about it in 5 minutes. Customer service stinks in lots of places, big to small. gotta second that - that vosges barcelona bar is in-sane!! it's the best chocolate bar i've had in the last year, and i eat a LOT of candy. my second best is the pierre marcolini incruste - chocolat au lait du venezuela incruste de riz souffle et aromatise a l'orange. i picked that one up in brussels in december. Ditto on the Vosges bar. It was quite the unexpected surprise! You're the second person who's recommended Boule's salt caramels this week! I'll have to check them out. By the way, slightly off topic, but for those of you who have a sweet tooth, I highly recommend Candy Blog http://typetive.com/candyblog/. Cybele, who writes the blog, is the one who originally recommended I check out Boule's salt caramels. I regularly buy the fleur de sel caramels at Bouffe in Lincoln Square... only sold individually, but if you ask you can get a box - maybe a dozen in each box?? Also have had some from Bleeding Heart Bakery - theirs are very small, wrapped in wax paper - not certain they're fleur de sel, but salted nonetheless. After reading the above posts, I was kind of curious about salt caramels. I was waiting for a pick-up order from Spoon and decided to browse in some of the stores in Lincoln Square. As luck would have it, I stopped in Bouffe and noticed they had individual salt caramels for sale. I bought a couple for a pre-lunch desert. They were quite good (although they were my first salt caramels and I have no comparison)--however, at $1 a piece they could be kind of an expensive habit. I checked on some recipe sites when I got home and found a recipe for 'fleur de sel caramels' that didn't look too difficult. They were actually pretty easy to make and I think they are pretty delicious (again, I don't have a lot of salt caramel background). I think I might have liked them with a little more salt than the 1 tsp the recipe calls for--I did sprinkle some extra salt over the top after pouring the caramel into the pan. Also, wrapping them was a bit of a hassle--small children would definitely come in handy there. The recipe made about 40 caramels (not including some scraps that had to be eaten during the wrapping process) and probably cost about $6 to make. I'm planning to give some of them away as host gifts. Over all, I was pretty pleased with the result. thaiobsessed wrote: Also, wrapping them was a bit of a hassle--small children would definitely come in handy there. I volunteer my children. I will supervise. thaiobsessed wrote: --however, at $1 a piece they could be kind of an expensive habit. Your salt caramels look terrific! Nice job on making them yourself. I started making gravlax a few years ago for exactly the same reason. Shortly after Fox and Obel opened I tried their gravlax and soon found myself addicted, buying a 1/3-lb or more at least once a week. Doesn't sound like much, but at $45 a lb it was really starting to add up. I had saved a gravlax recipe that Bill/SFNM had posted in '01 to a BBQ list we both participate on and away I went. Easy to make, a hell of a lot cheaper and pretty darn good. Gary--I found your gravlax recipe from an earlier post. It's moving right to the top of my "recipes to try" list. I had sort of a "DOH!" moment after making the caramels. On the Boule website they list vanilla bean as one of the ingredients. I have several vanilla beans I brought back from Oaxaca sitting on my shelf. When I make the caramels again, I'll definitely be scraping a half of a vanilla bean into the pan and I think I'll try doubling the salt. At the risk of sounding like Yogi Berra, having expensive tastes can be, well, expensive, can't it? Thaiobsessed: Now you're making me feel lazy! OK...as soon as rain isn't in the forecast, I'll try my hand at it, too. Of course, I don't think mine will make it into any hostess gifts! I'll keep in mind your comments about the salt quantities and fresh vanilla. this is completely going into left field, but I think the Mexican "chicken flavor suckers" (Pollitos Asados) have a pretty salted caramel thing going on. And hey, they're shaped like roasted chickens! And they're a little over a buck a bag. Uggh...I've tried those pollo asado lollipops. If they could make them taste like actual roast chicken, it would be an improvement. I prefer the mango yaro suckers. I'm not sure about those lollipops! I made the NYT's recipe today for salt caramels this evening. The NYT called for boiling the sugar mixture until the tempurature reached 257', which was higher than Epicurious or any other recipe I saw. Most seem to be in the mid to high 240s, though I also saw some complaints on Epicurious that the caramels sometimes had a tendency to be soft. Since the NYTs recipe has slightly different instructions than Epicurious (with Epicurious, you're done cooking after the temp reaches 248', and then you pour into the pan; with NYT, when the temp hits 257 you pull it off the heat, then mix in the butter, salt and vanilla, which Epicurious added much earlier, then pour it in the pan), I thought that might account for some of the temperature difference. My caramels are still cooling, but I can tell they're going to turn out too chewy and/or brittle, based on early tastes. This is definitely a symptom of boiling at too high of a temperature. (And my candy thermometer goes in 5' increments, so I could have been closer to 260' by the time I got the additional ingredients mixed in.) I'll probably make another batch and experiment with pulling them off the stove when the temp is closer to 250', knowing it might creep up another couple of degrees before the temp starts to fall. But based on early samples, they still taste good, nonetheless. Fleur de sel toffee, anyone? One other observation...the NYT recipe called for 2t of salt mixed into the caramels and another 1t sprinkled on top. I can just barely taste the salt with the caramels, but when I put a grain or two on top, it makes all of the difference in the world. So no surprise here: The top coating of salt is the key, and any good caramel recipe could be convered into fleur de sel caramels. The great think about those pink salt caramels that I had at TTG was the finely crushed pink salt that the caramels were rolled in. It was like a fine salty dust with creamy milk caramels in the center. It was a wonderful contrast, and one that I still remember almost a year later. I was actually thinking about trying them with the pink Hawaiian salt I just got. It's actually pretty course but I could run it through my "spice grinder"(i.e. old coffee grinder). Was there vanilla in the caramels from TTG? If anyone is planning on trying the Epicurious recipe--several of my "taster" friends have commented on the richness and I think I would cut them into smaller squares (maybe 1/2 inch) the next time.